Bud Light’s Up For Whatever platform has returned for a second year, ushered in with a massive 75,000-sq.-ft. House of Whatever experience constructed at Super Bowl XLIX in Glendale, AZ. What began a year ago with a Super Bowl TV spot extracted from real user-driven content has not only become a phenomenon—it’s become an inspiration to experiential marketers everywhere. The beer giant has used Up For Whatever to laser-retarget millennials with a string of experience-driven programs spanning Up For Whatever surprise and delight extensions tied to the NBA and other properties and, of course, last summer’s Whatever, USA campaign. With the latter, Bud Light announced it would turn Crested Butte, CO, into a fictitious town—and 200,000 consumers spent the entire summer drinking Bud Light and “applying” for temporary residency (via on-premise events and their webcams). The House of Whatever is comprised of high-design structures, tents and piles of shipping containers. The footprint was designed for surprise-and-delight experiences: Guests encounter changing activities with every right and left turn. All in, there are a whopping 49 events and activities (from pop-up interactives to Brew School tastings to top-secret “marquis events”) that consumers can opt to participate in across the three days. So who gets in? 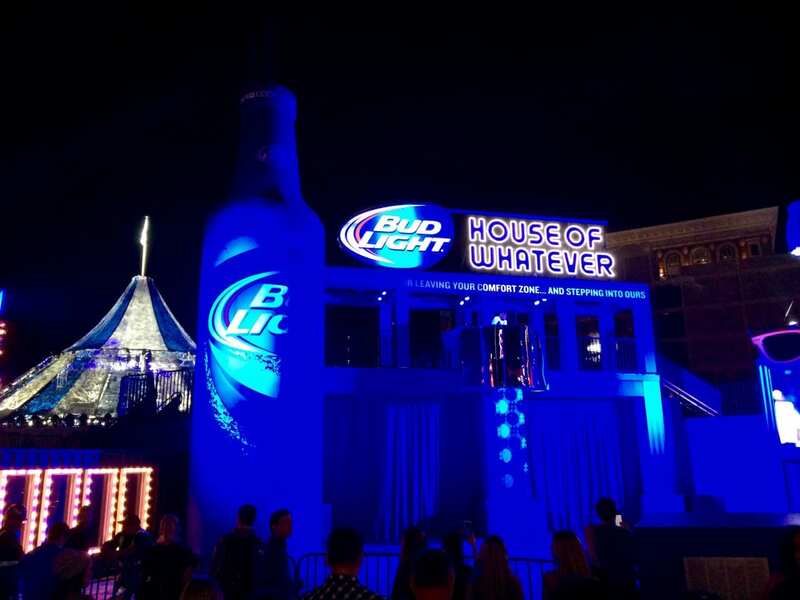 Consumers have been applying to score access to the House of Whatever by recording 15-second videos of them showing off their spontaneity (at on-premise events and via their own devices) while holding or drinking Bud Light and then uploading the content to Instagram and Vine (and tagging it all with @budlight and #UpForWhatever). The experience ties in with the latest Up For Whatever Super Bowl TV spot, which features a consumer named Riley ordering a beer and then finding himself playing a life-sized Pac-Man game. (Behind-the-scenes content here.) 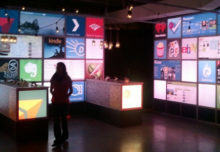 The House of Whatever required a three-week buildout and a team of more than 700.